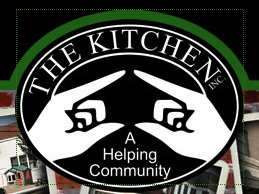 Our next nominee for the August edition of Sweatshirt Blanket’s Spread Your Warmth campaign is Springfield, Missouri’s own The Kitchen. This organization was founded on Palm Sunday in 1983 by Sister Lorraine as a soup kitchen and served their first meal at St. Agnes Grade School Cafeteria. Sister Lorraine would see the organization she created grow to encompass more and more services to help the local community until her retirement in 2002. The Kitchen’s mission is to create a place where persons, especially the poor, are welcomed and cared for with dignity and compassion. They aim to be widely recognized as a progressive innovator for meeting needs and addressing root cause of poverty and homelessness. Services of The Kitchen include: housing, food, counseling, healthcare, education, youth services, clothing, advocacy, life skills and homelessness prevention. In 1985 The Kitchen leased the Missouri Hotel and established a homeless shelter. A year later they were able to purchase property and hire their very first paid employee. The Kitchen is the largest provider of services for homeless children and families in Southwest Missouri. Over 500 adults and 200 children have received shelter at The Kitchen’s Missouri hotel and over 119,000 meals have been served in their facilities. Through their Food Pantry program The Kitchen has provided food to over 22,000 households and rent and/or utility assistance to 71 households through their Emergency Assistance Program. All told The Kitchen’s volunteers have donated over 26,000 hours of service, a value of over $280,000 based on professional and non-professional wages. Thank you to Andrea Ledbetter for nominating the The Kitchen for the August edition of Sweatshirt Blanket’s Spread Your Warmth campaign. If you would like to learn more about this great organization visit their website.